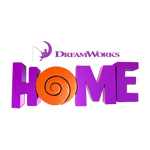 It’s still got about five or six weeks before wrapping animation, but that didn’t stop director Tim Johnson and DreamWorks Animation from screening for the first time some footage for the press of its March 27 release Home. Johnson, a DreamWorks Animation veteran who previously co-directed Antz and Over the Hedge for the studio, said he was hooked on the project the moment he read the source material, a book called The True Meaning of Smekday, by Adam Rex. He read the first two chapters to his kids, then stayed up finishing the book and sent an email to DreamWorks CEO Jeffrey Katzenberg at 2 a.m. insisting this was a movie the studio had to make. 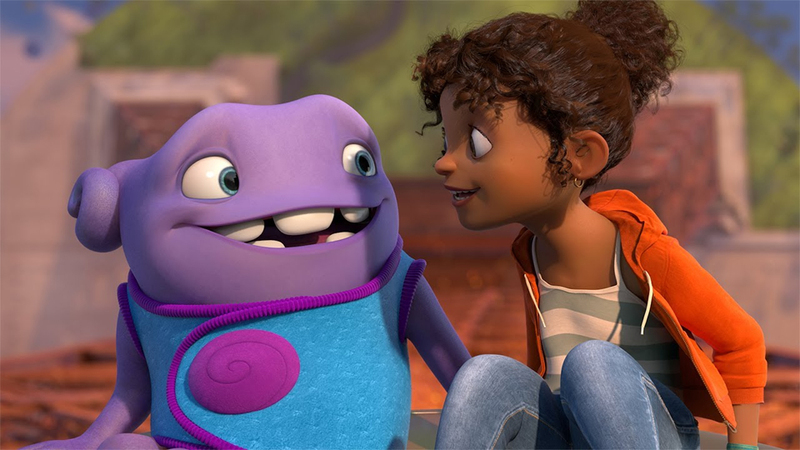 Setting up the story, Johnson says the movie begins with the arrival on Earth of the Boov, a pariah-like alien race seeking a new planet on which to live. Using its special gravity tools, it easily and peacefully takes over Earth and relocates all humans to individual picket-fence homes in Australia. (Johnson says the math does support Australia having room for 6 billion such structures). But the Boov has missed one human: a young girl named Gratuity, or “Tip,” who manages to survive with her cat in the big city and longs to reunite with her mother. Meanwhile, a misfit Boov named Oh has accidentally forwarded to the entire galaxy a party invitation that reveals the Boov’s new location, making him a hunted outcast. And — as you might expect — Oh and Tip meet up, join forces and head off on a quest to solve their problems and learn a little bit about each other along the way. 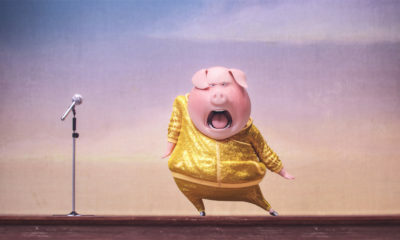 The movie features singer, actress and fashion designer Rihanna as the voice of Tip, and Jim Parsons of TV’s The Big Bang Theory as the voice of Oh, with Steve Martin voicing Boov leader Smek, who exemplifies his race’s reverence for cowardice. The clips shown covered Tip and Oh’s first meeting in an abandoned convenience store; the start of their journey, after Oh modifies Tip’s car into a Boov-powered flying vehicle; their first big “talk” during the trip to Paris to find out where the Boov have put the humans; and a final clip in which Oh and Tip encounter the Boov and Smek on a floating Eiffel Tower. 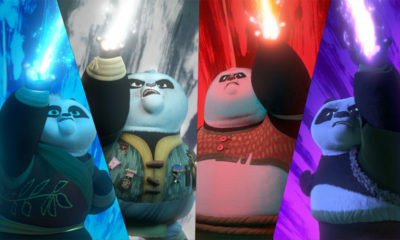 The clips had a nice tone; yes, they were fast-paced, comedic and zingy, but the animation is showing improvements in smoothness and character expression over even the huge leap DreamWorks Animation made with How to Train Your Dragon 2. The pastel color scheme is distinct, and the movements of Oh — the Boov change shape and colors, it seems, depending on their mood — are as organic and smooth as a CG movie of this level can be. Appearing briefly afterward to discuss the project, Parsons, Rihanna and Martin all stated that voicing an animated film is one of the more fun things an actor can do. “You learn so much when the camera is not there,” says Rihanna, who also participated in the music for the film and is contributing songs. Home is due in theaters March 27.